Leaving a Legacy: Creating a Social Enterprise that Outlives Its Founder - jason wiener | p.c. More and more, entrepreneurs and investors want more than just a buck: they want to create a business with a social mission, then preserve that entity’s mission through time. This blog post briefly discusses three ways to keep a business entity on purpose long after the founders have left. The first way is to borrow a page from much of the rest of the world and use “golden shares.” A golden share is a share with special voting powers greater than the other shares. To illustrate that power: threatened with a takeover or acquisition that jeopardize the entity’s mission, one golden share could veto the transaction. While we recognize that golden shares are hardly used in the U.S., we see potential. Our research indicates that the broad, powerful Delaware corporate law (the “gold standard” for U.S. corporations) has the flexibility and breadth to allow golden shares. Case law suggests that golden shares are permissible if they were created for an equity holder at the outset of the transaction. 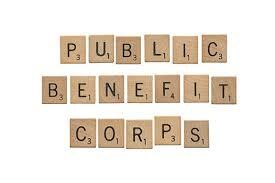 A second way to leave a legacy is through a Public Benefit Corporation. The very act of creating a public benefit corporation creates a high level of protection for the entity’s social mission; to delete or amend an entity’s public benefit statement or purpose would require approval of two-thirds of the outstanding stock of the corporation entitled to vote. A third vehicle for preserving a company’s social mission is through a “perpetual purpose trust.” The Hershey Company, for example, has historically supported kids in financial need. Hershey does this through a purpose trust worth about $12 billion. The mechanism of the Trust’s control is fairly straightforward: “The Trust owns about 8 percent of the chocolate company’s shares, but because of a dual class stock arrangement it controls about 81 percent of the votes.” This voting power allowed Hershey to reject a $23 billion takeover bid from rival candy maker, Mondelez. Preservation of an entity’s long-term social agenda is a good thing. Jason Wiener|p.c. has partnered with other thought leaders on this topic (see, for example, Armin Steuernagel and his white paper on steward ownership). Our work-group plans to publish resources for the purpose-driven enterprise; sign up for our email alerts and we’ll let you know when it is available.